With triple glued and stitched seams, the Divex Neoprene drysuit is extremely hard wearing and comfortable for the diver. 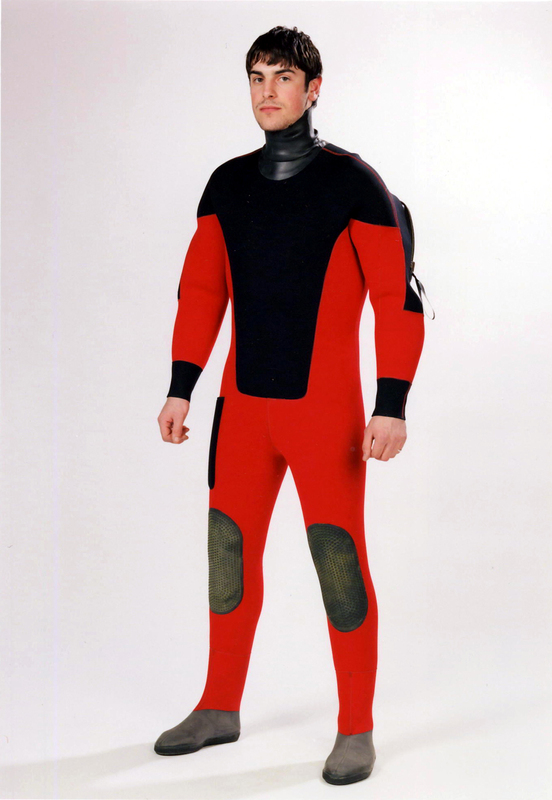 This low magnetic drysuit is manufactured from 7mm double lined neoprene. Heavy duty knee pads offer comfort when kneeling and increase the longevity of the suit. Fitted with a low magnetic shoulder zip, inlet valve, hose and exhaust valves, this low magnetic drysuit is suitable for use in mine countermeasures (MCM) and explosive ordnance disposal (EOD) operations where influence ordnance is suspected. Note: The size chart refers to body measurement, should medium or heavy weight undersuits be worn, it is recommended to order the next size up. Extra Large 6'0" - 6'2"